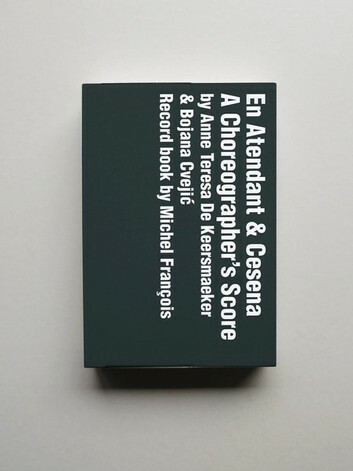 4 books in a box: 64 p. + 32 p. + 96 p. + 96 p.
What would it mean for choreography to perform as an exhibition? 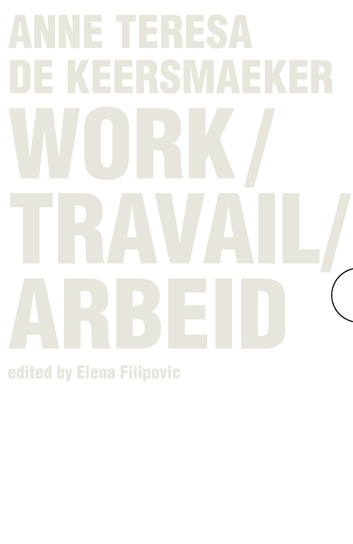 That is the question at the origin of Work/Travail/Arbeid, a newly commissioned project by Anne Teresa De Keersmaeker. De Keersmaeker reimagines and recasts the choreography as a nine-week-long exhibition. The result is a project that transforms the very material and conditions that have long been essential to dance, in particular the rigorous structure and choreographic language for which De Keersmaeker is known, into an entirely new exhibition form. It also reveals, in a way that perhaps no other dance piece by the choreographer could, the complex conceptual, technical, and physical labor—in sum, the work—that is the backbone of her entire oeuvre. Have a look at some pages from the book here.